UNIVERSAL EXHAUST CAT BACK SYSTEM 2" PIPE WORK. 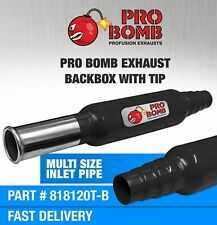 New Universal Cat Back System 2" Pipe Kit -. 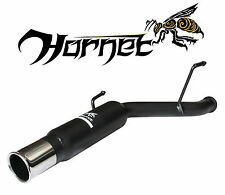 Can this exhaust system pipe kit fit any car?. the exhaust is universal and plenty of pipe work to fit most cars. 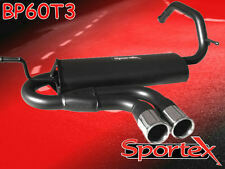 Peugeot 206 GTi 180 stainless steel exhaust system from the cat back. Twin 2" round stainless steel tailpipe design. Looks and sounds great with deeper, louder than standard bass exhaust tone. Back pressure is reduced producing power gains. New Universal Cat Back System with 5.5" X 2.5" Tip Exhaust Back Box with Stainless Steel Tip, and Pipe Fitting Kit -. UNIVERSAL EXHAUST CAT BACK SYSTEM WITH 5.5" X 3.25" TIP BACK BOX. Can this exhaust system fit any car?. Peugeot 206, 206 Estate, 206CC, 406 Sedan, 406 Estate, 605. 206 1.6 HDi Turbo Diesel Hatchback, Stationwagon 11/03- 09 1560 cc, 110 HP, 81 KW. 206 1.4 HDi Turbo Diesel Hatchback 07/09-06/10 1398 cc, 70 HP, 51 KW. High Flow 4-2-1 Tubular Design For Optimum Gasflow! Free Flowing Design Improves Power & Torque! Janspeed Back Box Iconic performance brand .Barn Find . Dated by Janspeed as 25 years old as metallic foil not used for 25 yrs . Great Sounding. CITROEN SAXO 8V 1.4 & 1.6 1999-2006 PHASE 2 ONLY WILL NOT FIT THE PHASE 1. PEUGEOT 106 1.4L & 1.6L 8V 1999-2006 PHASE 2 ONLY WILL NOT FIT THE PHASE 1. STAINLESS STEEL EXHAUST MANIFOLD. This exhaust manifold's mirror polished. This is a 4 branch exhaust manifold for a pre 2001 Citroen Saxo Mk1 1.6. He was hoping to make it fit his Mk2 Saxo but because of the newer model had a oil filter insert conversion it was not compatible (If you have a oil filter insert this part will not fit. ). Supersprint Magnum rear back box removed from my 1990 205 GTI 1.9. CITROEN SAXO 8V MK2 (PHASE 2) 1996-2004. PEUGEOT 106 1.4L & 1.6L 8V MK2 PHASE 2 1996- 2004. STAINLESS STEEL T-304 4-2-1 EXHAUST MANIFOLD. This exhaust manifold's mirror polished. Ending Soon. Mandrel Bent T-304 Stainless Steel. 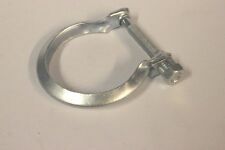 Exhaust 72mm Silencer Clamp / Clip. Our new automated system is active. CITROEN SAXO 8V VTR 1996 PHASE 1 ONLY WILL NOT FIT THE PHASE 2. PEUGEOT 106 1.4L & 1.6L 8V 1997 PHASE 1 ONLY WILL NOT FIT THE PHASE 2. 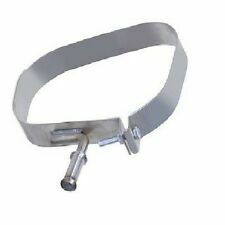 STAINLESS STEEL EXHAUST CAT DELETE MANIFOLD. This exhaust manifold's mirror polished. Exhaust Conical Gasket. PEUGEOT 106 1.1i Cat Hatchback 1124cc (45 kW, 60 HP), Eng: TU1JP. OBD 09/2000-02/2001. OBD 03/2001-2004. PEUGEOT 106 1.4 XT Hatchback 1360cc (56 kW, 75 HP), Eng:TU32. PEUGEOT 106 1.4i Cat Hatchback 1360cc (56 kW, 75 HP), Eng: TU3JP. PEUGEOT 207 REAR SILENCER BOX BAND. Exhaust Silencer Back Box Band. Strengthened version that fits straight over the exhaust box without removing the exhaust box. made with love by. Add to Favourites. PEUGEOT 207 VTI 1.6 16V 20062011. CITROEN C2 VTS 1.6i 16V 125BHP 20052011. CITROEN C2 VTR 1.6i 16V 110BHP SENSOR DRIVE 20032009. STAINLESS STEEL EXHAUST MANIFOLD. This exhaust manifold's mirror polished. Built In Flexi Joint To Reduce Strain On Your Exhaust! Swap Restrictive Cat For 2.25" Decat Adds Instant BHP! Designed to fit the Peugeot 206 GTI 180 2. OL 16V 2003 models upwards. Wind deflectors. Made from High Grade Stainless Steel. Ireland ,N Ireland ,Isle of Man,Isle of Wight,Highlands & Rest of World. PEUGEOT 206 GTi 180 2.0L 16V 2003UP. Stainless Steel T-304 Exhaust nocat. This Exhaust decat is Mirror Polished. Air Induction Kits (272). Ending Soon. New Arrivals. Useful Links. International Rates are below. PEUGEOT 207 VTI 1.6 16V 2006-2011. CITROEN C2 VTS 1.6i 16V 125BHP 2005-2011. CITROEN C2 VTR 1.6i 16V 110BHP SENSOR DRIVE 2003-2009. STAINLESS STEEL EXHAUST MANIFOLD. Mandrel Bent T-304 Stainless Steel. Peugeot 207 GTI / RC 1.6i 16V (174hp), Bj.2008 -. Fits from the turbo to the 2nd Cat. Gain more performance due to more air flow. Item for sale. CNC machine flanges for strong solid support. TIG weld for strength and durability. 1 x Exhaust Downpipe. Peugeot 207 GTI / RC 1.6i 16V (174hp), Bj.2008 -. Increases Horsepower by 6-15Bhp (Dependant upon engine mods). JHigh Performance And Six Month Warranty. Gain more performance due to more air flow. Significantly improves throttle response and power. 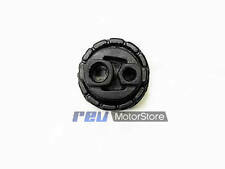 Designed to fit Peugeot 207 1.6i 16v turbo GTi models. Stainless Steel Exhaust Downpipe Cat Delete Pipe. 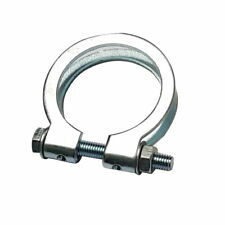 Mandrel Bent T-304 Stainless Steel. Fits from the turbo to the 2nd Catalytic Conver. Gain more performance due to more air flow. 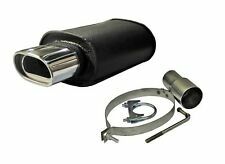 New Twin Universal Exhaust Back Box with Stainless Steel Tip and Fitting Kit -. Twin Stainless Steel Tip Exhaust Box. The exhaust back boxes are universal fit so will fit on any car. Turborevs Ltd was established in 2006 out of our passion for modified cars. All Magnex Exhausts are made in the UK from T304 aerospace grade stainless steel, bent using the finest mandrel bending machines and welded by experienced and enthusiastic staff to exacting standards. The De-cat fits directly to the exit of the turbo, and runs through to a standard centre section, or any performance system that is designed to fit to a standard 306 2.0 HDi catalytic converter. NOTES: THE IMAGE SHOWS THE ACTUAL HOFFMANN PEUGEOT 306 2.0 HDi DE CAT. PEUGEOT 208 REAR SILENCER BOX BAND. Exhaust Silencer Back Box Band. Strengthened version that fits straight over the exhaust box without removing the exhaust box. made with love by. Add to Favourites. The exhaust back boxes are universal fit so will fit on any car. New Universal Stainless Steel Big Bore 5" Adjustable Exhaust Back Box with and Fitting Kit. How can I fit the exhaust?. 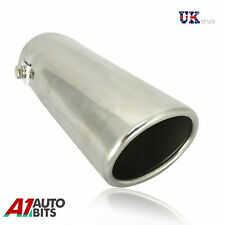 depending on type of exhaust system currently on your car this exhaust will need to be weld, it will cost around £60 - £70 for a professional stainless steel exhaust specialist to fit it. HIGH PERFORMANCE UNRESTRICTED STAINLESS STEEL EXHAUST BACK BOX. Universal High Quality free flow unrestricted stainless steel exhaust back box. Quality Graded Stainless Steel. Inlet - 2.25" (3 Step reducer provided). UNIVERSAL EXHAUST CAT BACK SYSTEM WITH BACK BOX. 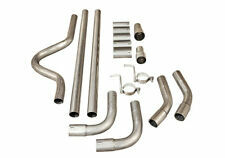 New Universal Cat Back System with 5.5" x 3" Exhaust Back Box with Stainless Steel Tip, and Pipe Fitting Kit -. Turborevs Ltd was established in 2006 out of our passion for modified cars. PEUGEOT 206 1.4i Cat Hatchback, Automatic Transmission 1360cc (56 kW, 75 HP), Eng:TU3JP. OBD 10/2000-12/2003. RP No.09884> 12/2003-2008. PEUGEOT 106 1.3i Cat Rallye Hatchback 1294cc (74 kW, 100 HP), Eng: TU2J2. CITROEN SAXO 8V VTR 1996 PHASE 1 ONLY WILL NOT FIT THE PHASE 2. PEUGEOT 106 1.4L & 1.6L 8V 1997 PHASE 1 ONLY WILL NOT FIT THE PHASE 2. STAINLESS STEEL T-304 4-2-1 EXHAUST MANIFOLD. This exhaust manifold's mirror polished.